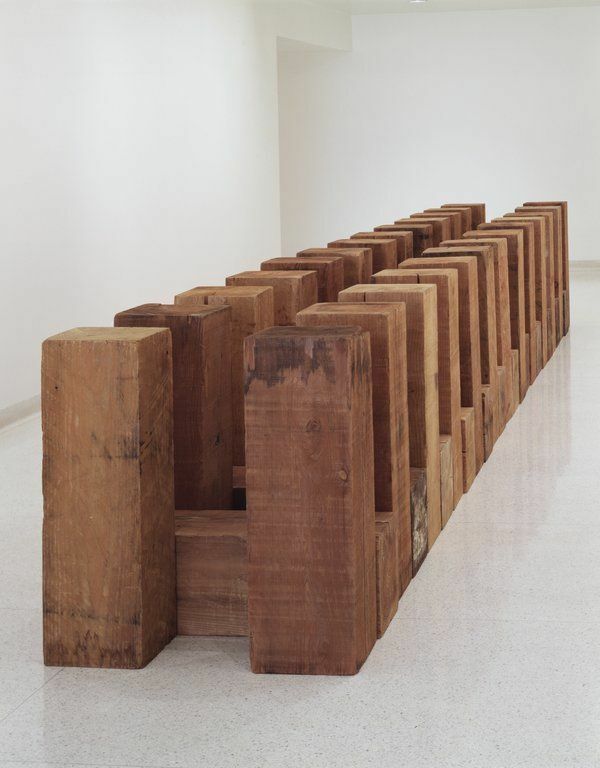 Carl Andre is difficult. There’s nothing easy about this work, because for the most part we don’t know what it’s about. It eludes interpretation. When you see a full installation of Andre’s work it’s surprising how effective it can be. Its simplicity is breathtaking and its logic is beyond reproach. (And in the case of the wood blocks – it smells good.) But there’s always something working beneath the surface, and in this case what becomes apparent is the slippery nature of capital. This is not Art in the historical sense, but it’s a new Art in the economic sense. This is art that’s made for Global trade. It can be easily dismantled, placed on a container ship, moved to the next location and reassembled. It is an art for the WTO. It is an art of contracts, agreements and treaties. Andre may very well be the first purely Globalist artist. 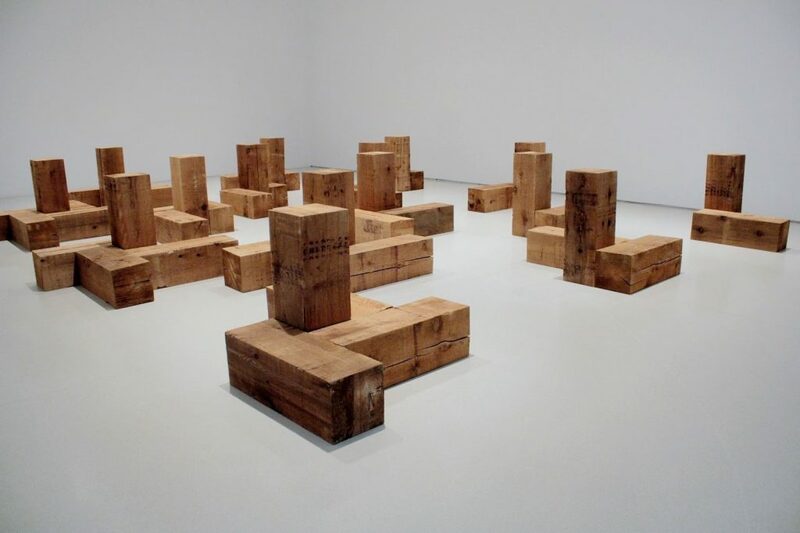 When his Equivalent VIII arrived in the UK in 1976 there were many Brexit-like discussions about the materials and the presentation of the work – all in relation to its value – as both art and material. And ironically these discussions conferred even more value onto the work as they foreshadowed many aesthetic and economic issues – some of which we are still dealing with in the NeoLiberal Economic World.